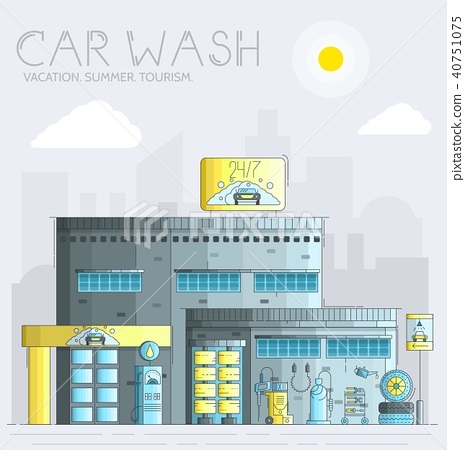 24 7 working car wash with different equipment tool concept. Flat car wash service building place. Vector illustration design icon.